It’s just over a month now since Magteld went away. Thirty-eight days that have gone by in such a haze that I often suspect time has gone haywire. The house that the boys and I moved in to nine weeks ago is already packed with history: the two weeks we spent going back and forth to the hospice, the two weeks we lived here as a family and celebrated Euan’s birthday, and the last five weeks, when we’ve had to cope with the shock and aftermath of Magteld’s abrupt departure. I say ‘went away’ in the absence of any more suitable words. She died, obviously, but that fails to cover the impact of her loss. The day she died, when the boys and I stood by her hospital bed and watched her take her last breaths, seems etched in history, already distant, like a picture in a school textbook. The frantic days afterwards, of arranging the cremation and writing and translating eulogies, and drinking prosecco in the sunshine in the back garden, in keeping with her last orders: all this too is locked away in the past. But in other ways she is still present. I still leave her half of the bed unoccupied; there are three dressing gowns hanging by the door (Magteld had a summer and a winter one) and drawers full of her clothes; her shoes lined up neatly on the floor, her jewellery in a box on her bedside cabinet, next to her iPad and the books she will never finish. None of it has had time to gather dust. This staged withdrawal is in many ways the hardest thing to deal with. It defies reconciliation. A few weeks ago I chucked a punnet of mushrooms out of the fridge and realised I’d bought them the last time we went to the supermarket together. How did these mushrooms manage to last longer than my wife? I wondered as I flung them furiously into the bin. Every time I call a bank or a utility company or a government office to tell them what’s happened I come off the phone dazed and exhausted by the sheer effort of articulating the words: she died. I tick boxes marked ‘one-parent family’ and ‘widowed’ and shove the papers in the envelope in haste, before the grief becomes endemic. The first things to go were the last to arrive: the wheelchair and Zimmer frame she was given just before leaving Glasgow, which meant that, curiously, nobody who knew her in Scotland ever saw her in the chair, while those who met her during her short time in The Hague had never seen her out of it. Only a month earlier we had gone to Edinburgh, for our copper wedding anniversary, and walked for nearly two miles through the city’s crooked streets. Hard as it might sound, I hated her disability. I despised what the cancer had reduced her to so swiftly: a cracked caricature of a healthy young woman who couldn’t get out of bed or use the toilet without assistance. And I can say it because she hated it too, and our shared loathing mutated into some fearful rows. On the first night she stayed in our house – Magteld’s house, the gorgeous, spacious apartment she found for us – we woke in the middle of the night and fought like cat and dog. It escalated to the point that she started hitting me with her arms, by now so crippled by cancer that she couldn’t raise them above the elbow. I remember the desperate, awful, pathetic (in the true sense) slaps, but I can’t for the life of me remember what the argument was about, and that only deepens my shame. Is this the start of the process of forgetting? And is that why I find it so hard to say goodbye to her clothes and shoes? I came across a book lately: Klaas ten Holt’s The Complete Widower, by a Dutch newspaper columnist who lost his wife to cancer and wrote about the aftermath. (You could call it fate: I call it the human instinct to seek order in chaos. But let’s not quibble: the important thing is I bought it.) In one of the first entries Ten Holt describes how he has to fight the urge to call up the first woman he can think of “in the hope that she’ll stay with me and keep me from this debilitating loneliness”. I was reassured by that, because all through Magteld’s illness, and especially in the days after she died, I often felt like jumping into the arms of the nearest female friend and pleading with her to take me away from all this horror. And I can see how that could be misinterpreted. Even now that I know she will never again complete the other half of our bed, it feels like a betrayal. Even though she said to me, a few months before she died, that I deserved to be loved. Yes, really: my dying wife, in her final months, was trying to ease the pain of living. That’s another reason why I can never replace her. My thoughts are with you we too are in that dark place that grief is,our son died before Christmas aged 40.You and your family take care. The most touching thing I’ve read in a long time. I’m in awe of your ability to even be able to write this and of facing up to these difficult realities. I wish you every strength. Thank you Gordon, for sharing your feelings in such a beatifully written way. As long as it helps you, please keep on writing and sharing. This is a painfully beautiful piece to read. It gives me some insight into how my daddy must have felt as he watched my mom rapidly stolen away by cancer in 2006, and the loneliness he went through after. I understand my own grief in losing my mama, but his grief in losing the wife he’d loved and lived with for over half his life is something different altogether. He has a wife again. She has not replaced my mother, even in his heart, but made a place all her own. 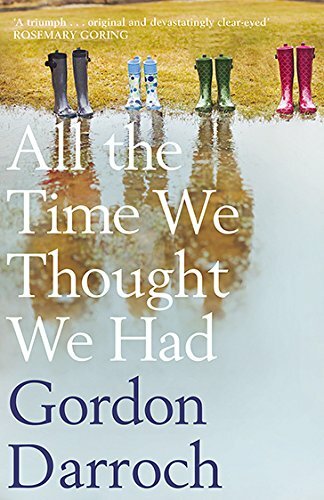 Kudos for a very talented writings, Gordon. Death is the shadow that you always see but never know the darkness until your within it. The whole and emptiness that remains after the light has resumed it’s rightful place is your reminder that it happend. I understand this pain. In my opinion the grief will never leave and will instead become a part of daily life. Memories are like color…eventually no matter how hard you try to preserve them they will fade. In this process I think most of us become angry or ashamed, because we’re losing the only things we have left. It’s hard to say goodbye to shoe or shirt that someone wore who can never wear it again. Tossing it out is just another way of letting them go and we hold onto every piece of a person we can until at last we are let go. I know the ending you feel is like a shot in the dark, you knew it was coming but you didn’t know what part was going to get hit the worst….it all hurts, it all gets hit. Your words are beautiful and story is a learning experience for those who don’t know loss. Loss can only be felt. I am sorry but your strength shoes through your courage. I only wish I could be as you are. A calm through the storm. So sad to hear this. So sorry. such eloquent expression of grief. It touched me deep within and provided me strength too. Speechless and moved to tears after reading your words. The waves … I know them, they sometimes tend to come like a tsunami and leave you behind, alive but shattered. Time is what it takes, but nobody can (or should) tell how long, It’s different for everyone. Please don’t ever feel guilty for feelings of relief, nor feelings of happiness or joy. They are part of the package. Who wouldn’t be grateful for a decent night of uninterrupted sleep even if an interrupted version would mean “she would still be alive” (being as sick as she was, is not what you wish for on anyone). Magteld is free of pain, of everything and … watching over her guys above from her cloud. I imagine her clapping and cheering for you and the boys when the first smiles on your faces suddenly appear and show some kind of “moving on”. They will actually happen, sooner or later. Don’t feel guilty, nor feel pressured if it takes more time. The way you recognized the loneliness of your neighbour is amazing. So, meanwhile I thank God for your writing abilities. Please Gordon, keep sharing your feelings. If we move on too fast, kick our but and we will slow down. I realise how “thinking about someone” is not enough. Thank you, Gordon, for sharing your grief. I agree with the many others: share as much as you’re comfortable with. Sad and beautiful. So many glimpses of your grief resonate with me… I have found myself hating what cancer had done to my mom, and how it eventually completely broke my dad, and hating myself for being relieved when they were gone. And clinging to material belongings because there isn’t anything else concrete to hold on to when everything falls apart. In time there will be room for someone else too but not now, she’s still taking up all of the space. Such moving words. Brave post! More strength to you and your boys. That is a poignant and haunting remembrance.Those words poke at my heart even as I tell you it’s a sea that will just not go away any time soon. You will be aware of it’s waves and tides even when you are asleep, careful not to ruffle the unoccupied half of the bed. May God give strength to you and the family. I hope your beautiful writing helps you cope in some way. Heartfelt and beautifully written. So many people will identify with your words. I can’t imagine what the pain must be like but as cliche as it may sound, things will get better and life will go on but the pain remains like a shadow. This is a perfect portrayal of the strange loneliness grief brings. Nicely done. You make so many remarkable observances, most poignant–where your mind wanders to the arms of another. Your story is so inspirational. Thoughts and prayers to you and your family. Thank you so much for sharing. Beautiful. I hope that writing helps you work through everything, it’s a privilege to read. Thank you. You express your heart beautifully. We just returned from a cousin’s funeral today. Thank you for helping us know what her husband will be going through. You love deeply and share so courageously. Thank you for so eloquently laying your heart bare and sharing your beautiful Magteld with us. I hope you will continue. Grief is a lonely and hard road to walk, but sharing the journey with others does help. Heartfelt condolences to you and your boys. Thanks for sharing your grief. My newborn son died two months ago after a freak accident during childbirth. And while I certainly didn’t have the same amount of time invested that you had with your wife, I can empathize with your feelings of overwhelming grief. I wish you all the best. I will be following your blog and invite you to do the same as we both journey down this dark and isolating road. I’m very sorry to hear about your son. Any loss is hard to bear, you can’t compare the two. Thanks for reading and I hope you have plenty of comfort and support from those around you.